Working meeting with Amur Region Governor Alexander Kozlov. Putin.BLOG Regions Working meeting with Amur Region Governor Alexander Kozlov. 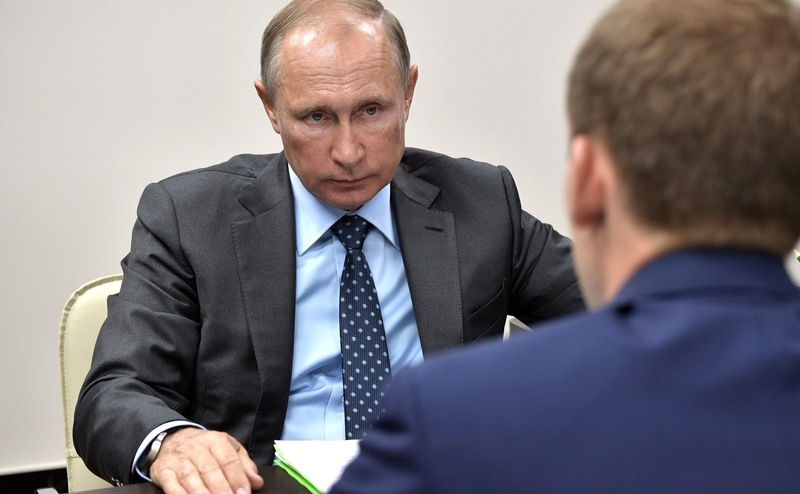 Alexander Kozlov briefed Russian President on the region’s socioeconomic situation. The discussion also focused on the complaints and requests sent in by local residents to the head of state during the Direct Line. 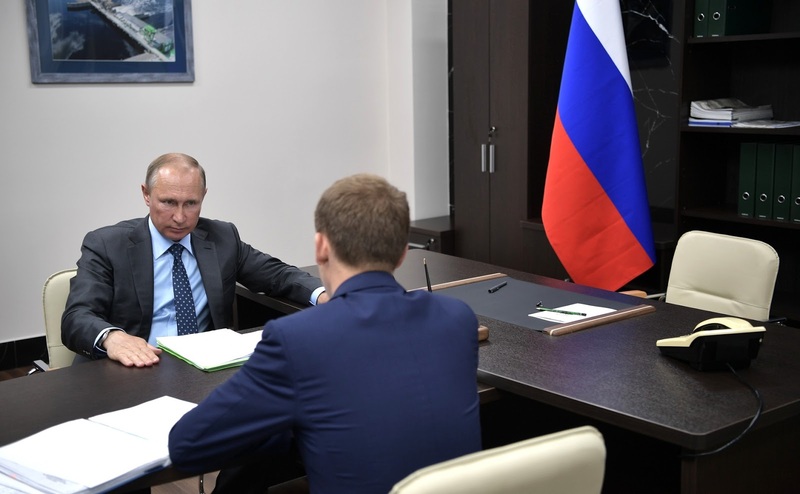 Vladimir Putin held a working meeting with Governor of Amur Region Alexander Kozlov. The Governor said the gross regional product is growing, due in part to the implementation of a number of large-scale projects. Mr. Kozlov also spoke about the execution of the Presidential executive orders that directly concern people's lives. He paid particular attention to the issue of relocating people from hazardous housing. At my meetings with governors, I hand over documents to them (and I consider requests and complaints received during the Direct Line to be documents). I would like to hand over such a folder to you. The complaints there are typical, such as the condition of roads and wage levels, including those in the public sector. But what drew my attention were the complaints related to healthcare. It is understood that the network of medical institutions has to be optimized. However, shutting down healthcare facilities in small towns and villages and depriving people of any access to medical aid is unjustified. People speak of quite specific issues here. A healthcare facility shuts down, and people have no way of getting to the nearest outpatient clinic or hospital, located 85 or 100 kilometers away, and so forth. 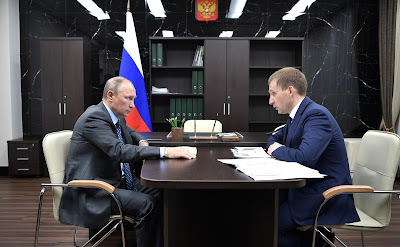 Vladimir Putin with Governor of Amur Region Alexander Kozlov. The second issue is paid medical services. It appears that this occurs not only in your region but countrywide. ”We have to make a [free] appointment with a doctor a month in advance, there are no appointment cards, and to have our tests, we have to wait for three months – while if we pay for the services, we can get them any time.“ This is a direct violation of the law. This is a crime, and it has to be monitored. Fine? I would like you to look through this folder and work on it. I want to emphasize, it is clear that people who think they are more or less fine do not consult a doctor, but those who have problems do – and this issue needs to be addressed. Now to electricity tariffs. The Amur Region is not isolated, as many Far Eastern regions are. On the whole, it is part of Siberia. Regarding what people write. We should simply check it. This information differs from what I have on the rates in neighboring regions or on sales to the People's Republic of China. They write, “We sell to China for 50 kopecks per 1 kW. It is more expensive for us.” That is not true. The wholesale price for China is 3.5 rubles, if we count in rubles. It is the wholesale price. And the average price for Siberia is 1.8 rubles. The average retail price for businesses in Amur Region is 3.8 rubles. That is, the retail price is lower than the wholesale price for China. For reference, the average retail price in China is 8 rubles. The retail price for the population of Amur Region is 2.1 rubles. Is that so or not? Is it true? It is 2.4 rubles for homes with electric stoves and 0.2 higher for those with gas stoves. It is a bit lower than the average for Russia. Vladimir Putin and Governor of Amur Region Alexander Kozlov. Yes, it is lower for us. As for other regions, I would like to use this opportunity to say that the electricity rates are significantly higher in the isolated Far Eastern regions. We have decided to make the average annual rate in 2017 closer, or even equal, to the average rate for Russia, which is around 4 rubles on average for the Russian Federation. It will all be re-calculated for your Far Eastern neighbors such as Kamchatka, Magadan, Yakutia, Sakhalin and Chukotka, because the decision was taken in July 2017. Kamchatka, for example, will be paying zero rates until November, Magadan will not be paying until September, Yakutia – until December, Sakhalin – until October, and Chukotka – until next May. It means that the neighboring regions are in a more difficult situation than Amur Region is, but the corresponding decisions have already been made. They will be implemented shortly. But all of this is ‘in passing’, as they say, it does not concern you directly. However, I would ask you to take a very serious look into all the other issues. Vladimir Putin at the meeting with Alexander Kozlov. 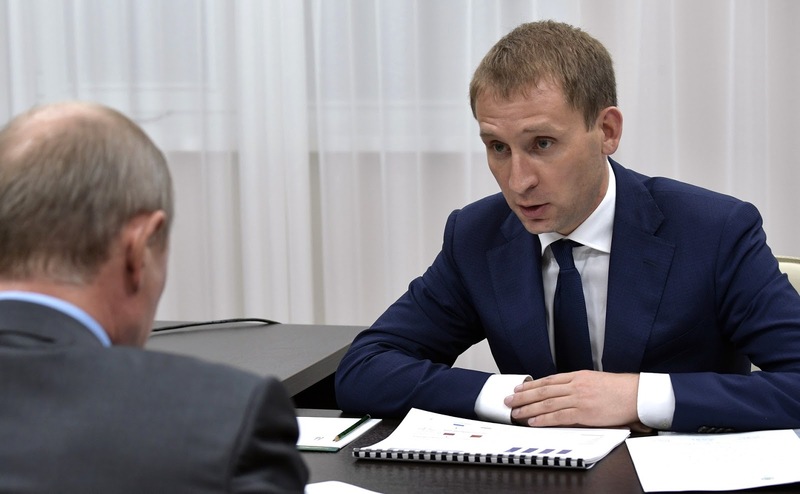 0 Comment to "Working meeting with Amur Region Governor Alexander Kozlov."